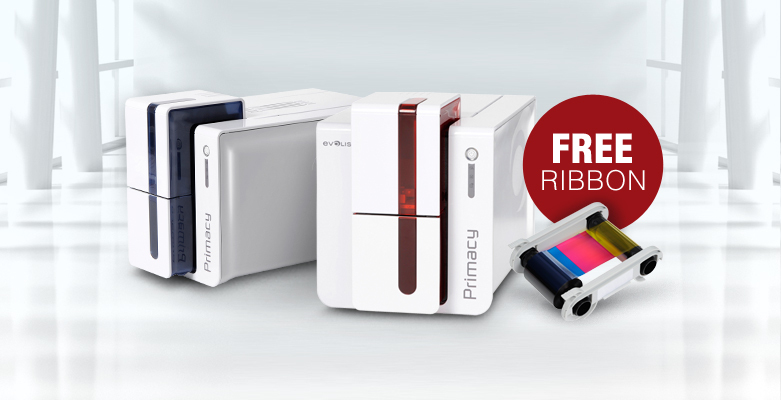 FREE ribbon with purchase of an Evolis Primacy printer! 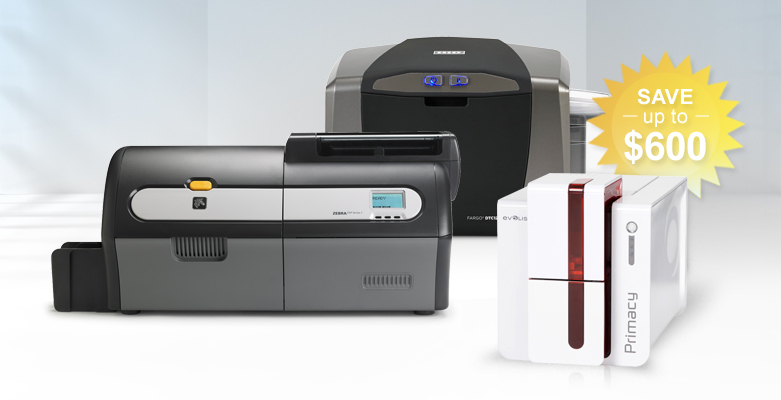 Comments Off on FREE ribbon with purchase of an Evolis Primacy printer! 2018 printer rebates ending soon! Comments Off on 2018 printer rebates ending soon! 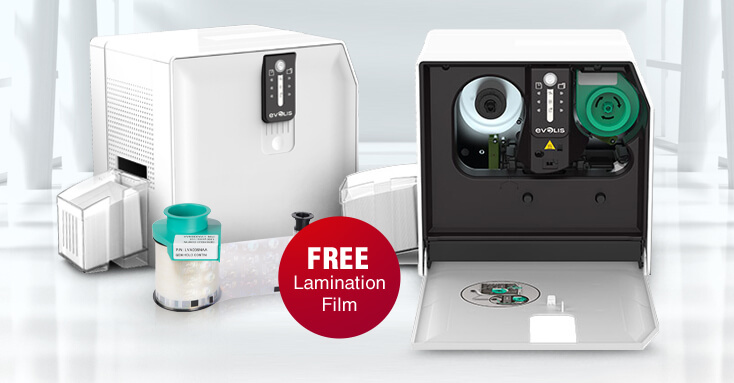 These huge Evolis savings won’t last long – get your FREE ribbon & software! Do you want to save hundreds and get a FREE color ribbon and software? Then check out these special Evolis printer bundles, on sale right now but only for a limited time! Comments Off on These huge Evolis savings won’t last long – get your FREE ribbon & software! Are you planning to replace an old ID card printer soon? 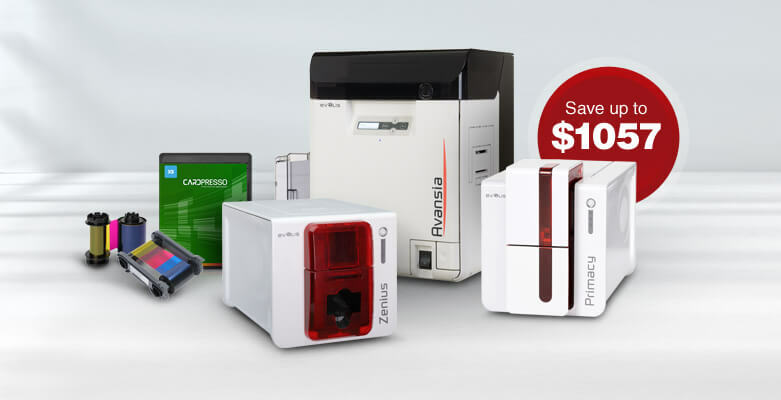 Evolis, Fargo, and Zebra are all offering rebates on their leading ID card printers on qualified purchases through the end of 2018! Introducing the Evolis Lamination Unit, a standalone unit that laminates standard cards from any printer! Big savings ending soon on the dual-sided Primacy! Comments Off on Big savings ending soon on the dual-sided Primacy! If you’re looking to upgrade your printer, now is the time! 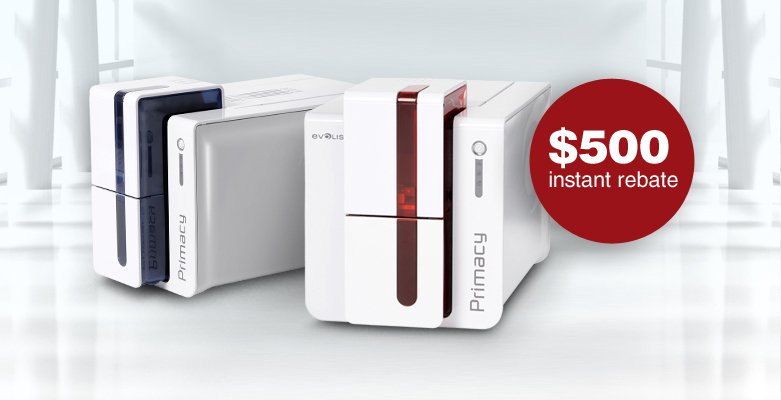 Until October 28th you can save $500 with an instant rebate on the powerful Evolis Primacy dual-sided ID card printer.